It’s no surprise that our Silver Dollar City Citizens have fun on the job—after all they work at a theme park! But there is another reason for the smiles you encounter from our hosts when you visit Silver Dollar City Attractions: they receive some amazing benefits for all of their hard work! Whether you work at Silver Dollar City, Showboat Branson Belle, White Water, or Silver Dollar City’s Wilderness, you get to enjoy all of the benefits that come with being a member of our family. 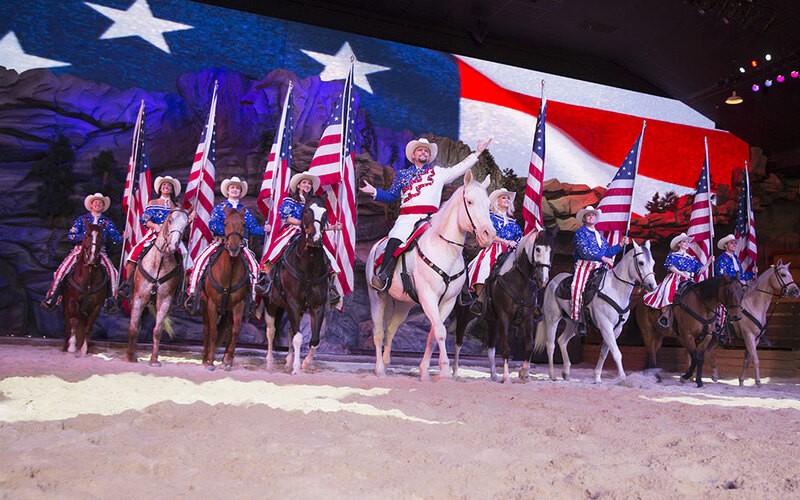 Here are just 10 of the perks of working at Silver Dollar City Attractions. Join in on the fun you help create! On your first day of work you will receive your very own season pass giving you unlimited visits to Silver Dollar City and White Water all season long. Your spouse and dependents will receive their own passes making this benefit one for the whole family! Single hosts will receive a “plus-one” pass allowing you to bring a friend for free each and every time you visit. Want more of your friends and family to experience the wonder and fun that Silver Dollar City Attractions has to offer? As a member of our family, you will receive extra tickets to share with whoever you’d like! On the first payday of the month, with your paycheck you will receive two additional tickets for a single admission to Silver Dollar City or White Water. Even more, these tickets can be upgraded to season passes for less than the cost of a one-day ticket! Now that’s a deal. Showboat Branson Belle employees receive complimentary cruise vouchers rather than these tickets. Once you are on the park (for free), the perks don’t stop there—enjoy meals and merchandise for a fraction of the price! Indulge in one of our signature food items and take home your very own piece of American Craftsmanship to remind you of the memories you made. You’ll even receive discounted rates on stays at Silver Dollar City’s Wilderness. Never have a boring day off! In addition to the perks at Silver Dollar City Attractions, as a member of our team you will benefit from dozens of local discounts. Enjoy shows, meals at local restaurants, and experiences at many local attractions at a discounted rate. You could save hundreds of dollars a year on entertainment, dining, and other surprises—all for being a part of the Silver Dollar City family! Our attractions not only feel like family, we actually are family! Did you know that Silver Dollar City is a part of Herschend Family Entertainment, which is considered the largest family-owned themed attractions corporation? As a member of the Herschend family, you’ll receive free admission to all Herschend Family Properties around the country, including Dollywood! You’ll even get discounted tickets when the Harlem Globetrotters come to town. It’s no surprise that we are thankful for our employees—we have the hardest working team around! One of the ways we say, “Thank you” to our team members is through Employee Appreciation events. These include exclusive ride time on our favorite attractions, nights at White Water, and the Christmas luncheon. We love when our employees create their own memories worth repeating® with their co-workers and family! Are you interested in a full time job? Do you want a part-time commitment? Are you a student looking for summer employment? With a variety of positions, we make it easy to find the perfect job for you! I bet you didn’t know that some of our employees work as little as two days a week; and some work full time in the summer and only on weekends in the spring, fall, and winter. Tell us about your schedule and our interviewers will help find a position that matches your availability. At Silver Dollar City Attractions, the physical, mental, and social well-being of our employees is of the utmost importance. Because of this, we have an on-site Health Advocate Nurse as a resource, available to all of our employees to help maintain overall wellness. In addition, after your 30 day anniversary, you will have access to Mary’s Well House: a fully staffed, full-service doctor’s office exclusively for our employees! Whether you wake up feeling a little under the weather, or are in need of routine vaccinations or a wellness exam, you can be seen at Mary’s Well House - even without an appointment! Even better, after being with our family for a year, your spouse and dependents will have access, too. Eligible full-time hosts will have the opportunity to receive additional health care coverage through the company. You have a great future ahead of you in the past! 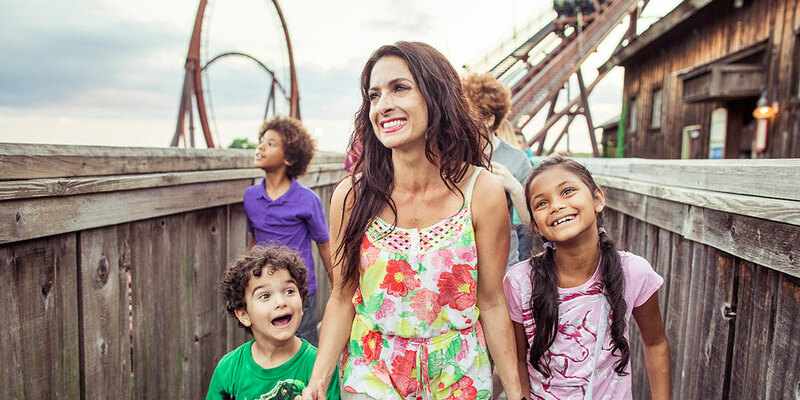 At Silver Dollar City Attractions, you have every reason to be excited about your future with us. However, you can also get excited about retirement! For eligible hosts, we offer a comprehensive 401(k) and profit sharing plan to help you prepare. As a member of our family, you will experience the Silver Dollar City difference. It’s what makes us the most unique and premiere employer in the Ozarks. Don’t just take our word for it—join our family and you’ll notice the Silver Dollar City difference. Certain eligibility restrictions may apply. Contact the Human Resources office or visit SilverDollarCity.com/careers to learn more about these benefits, as well as other advantages to being a member of the Silver Dollar City Attractions family. Contact the Human Resources office at 417.338.8122 or visit SilverDollarCity.com/careers to learn more.